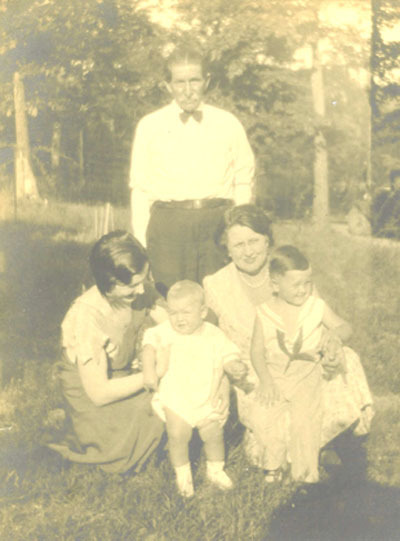 Biography* � Mrs. Gertrude Miller Ward wrote in a 26 Oct 1978 letter: My Dad, Johnnie Miller, farmed most of the time. Raised cotton mostly, corn, hay, and ran a cotton gin too. Also raised maize. Biography* � William L. Carlisle, 29 Aug 1978, wrote that "John William Dean was a Baptist minister and established the East Alabama Baptist Academy in 1912." The following information was recorded by Walter Conrad Dean: John William Dean was initiated in Weathers Lodge A.F. & A.M. #390, Dec 13 1902; passed Jan 10 1903; raised Feb 14 1903. Elected S.D. Jan 22 1918. John Wm. joined the Ashland Baptist Church, age 14 years. He started to school in Ashland the same year. He taught private school age 16 years. He received his diploma from corresponding school, age 17 years; first grade certificate age 18 years. He was licensed to preach, Sardis Baptist Church, Gisonville, Clay Co. AL., age 20 years. He was ordained at Mellow Valley Baptist Church at age 26 years. He publishod his first book, Christian Education, in 1912. He received his first patent, for a "Wire Stretcher," in 1917. He was a student at Southern Baptist Theological Seminary in 1910; a student at Howard College in 1895 and 1896. He established the East Alabama Baptist Acsdemy in 1912. During the first 13 years of his ministry he did not hold a pastorate over 20 miles from his birthplace. Biography* � Washington Homer Carlisle was the son of Broxon Yarbrough and Emily Miriam (Culpepper) Carlisle. He was noted as a seven month old infant in the July 5, 1870 census of the Louina P. O. District, Randolph Co., AL. This is in the vicinity of what is now known as Wadley, AL and is where Homer is believed to have been born. He was next noted in the 1880 census of Flatrock, AL. This was apparently near Almond to the west of Wadley, AL. Mary (Hodnett) Remson Craft and Betty Welsh Farmer, "James Hodnett Family History" 8 typewritten pages, n.d. Biography* � Sallie was the daughter of Broxon Yarbrough and Emily Miriam (Culpepper) Carlisle. Her middle name is a problem. She was listed as "Sarah E. Carlisle" in the 1880 census. Mrs. G. E. (Katheryn Coker) Bryant in a 20 Sep 1978 letter listed Sarah as "Sarah F. Carlisle" from the B. Y. Carlisle family record. "S. A." was listed on the tombstone of her infant daughter, Marie. I suspect that she was originally named Sarah Ezilla for her father's sister. Sallie was born and raised near Wadley, AL. She was first noted in census records in the 1880 federal census of Flatrock, AL which was apparently near Almond to the west of Wadley, AL. 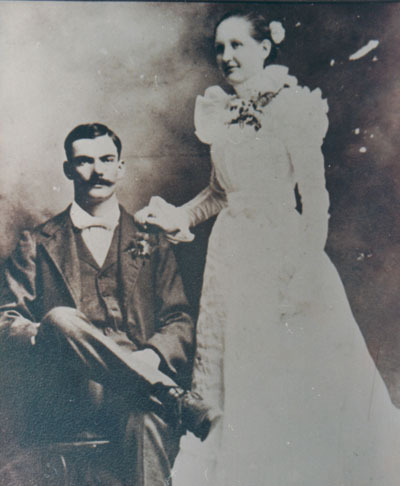 Unfortunately, the 1890 census records were burned and the next notice of Sallie is her marriage to James Benjamin Broxton Clegg at Almond, AL in 1899. 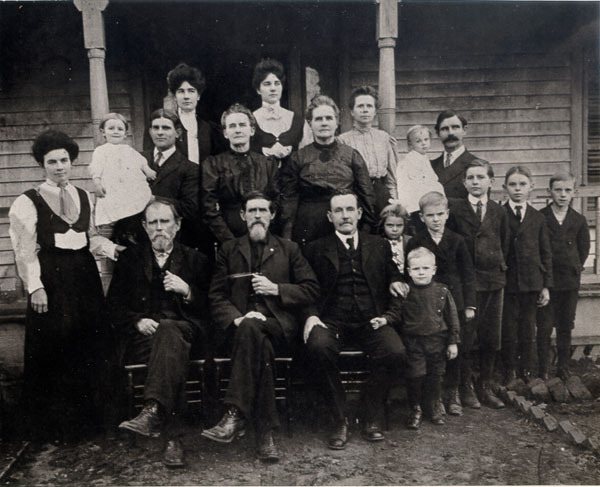 The couple settled down to farm and raise their family near Wadley, AL. We attended the Clegg reunion, which was held at the old Clegg place near Malone, or Flat Rock, near Wadley - for the first time in many years! I went to a reunion there about 1915, I believe. Our great granddaddy, Dr. Jim Clegg built it in 1860. Our granddad, Rev. James H. Clegg, lived there, too. He was a Methodist preacher and farmer. It's still a sturdy old house and was owned by Eunice Clegg Stephens until last year when she sold it to an insurance man Clegg, a nephew, of La Grange, along with 125 acres. Dr. James Polk Clegg and Rev. James H. Clegg are both buried in Pleasant Hill Methodist Church Cemetery. Biography* � James William Carlisle was the son of Broxon Yarbrough and Emily Miriam (Culpepper) Carlisle. He was born near Wadley, AL, probably in Flatrock, which is near Almond to the west of Wadley. This is where he was noted with his parents in 1880 and 1900 federal census records. I suppose you know that Uncle Willie spent a lot of time in South America. He sometimes stopped to visit us in Atlanta and could speak Spanish fluently.